Winger Bryan spent a staggering 12 seasons on the books of Auchinleck Talbot, picking up 5 Junior Cup winners medals in the process. 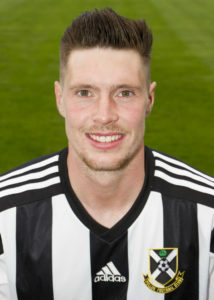 He had initially joined them from Ross County where he has spent his first two seasons as a professional after transferring to the Dingwall side from Kilmarnock where he had spent his later schoolboy years. Bryan signed for Lok on a two year deal in the summer of 2017.